Gas port drilled for carbine length gas setup and threaded for comp. Barrel Extension in the rear with M4 feed ramps. It has a .750 gas block diameter, ready to install into the receiver. Gas hole diameter is 0.072. Don't forget the AeroShell 33MS Mil Spec Armorer's Grease! 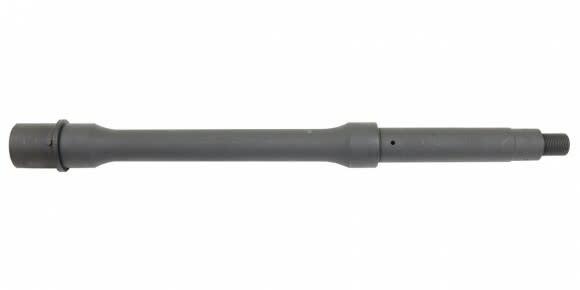 This is a premium grade 11.5 Parkerized AR-15 heavy barrel from a well-known U.S. contractor/barrel manufacturer. These premium barrels are renowned for their deep, crisp, and consistent rifling and extreme accuracy. 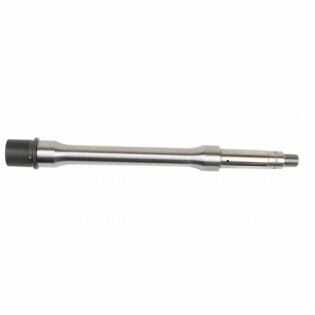 Threaded for any standard AR-15 compensator. Barrel Extension in the rear with M4 feed ramps ready to install into any standard AR receiver. They are Drilled, Reamed, Rifled, Turned, and if Applicable, fluted on CNC Machines. All of the finished barrels go through a 100% inspection process. Our Barrels are manufactured under the ISO-9002 Quality Systems.